The Orlando Apollos are coming off a last-second home loss to the Arizona Hotshots. 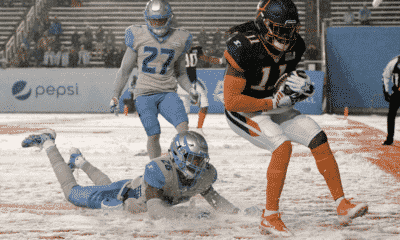 The Apollos were driving the ball and in scoring position but had a false start which resulted in a ten-second clock runoff which ended the game. I expect the Apollos to fully rebound after suffering the franchises first loss. The Atlanta Legends started off the Aaron Murray-era going 2-0, after starting the season winless. Then came last week where the Legends not only lost 31 points they only managed 6 points for the entire game. 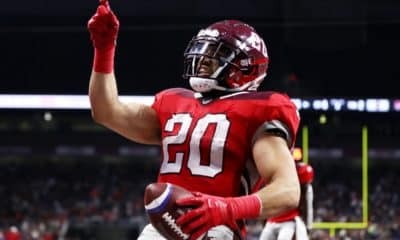 Sure, they lost to a first-place San Antonio Commanders team but the Commanders are not 31 points better than any team in the AAF. The San Antonio Commanders have looked great the past two weeks as former Toledo QB Logan Woodside has really started to gel with his offensive unit. 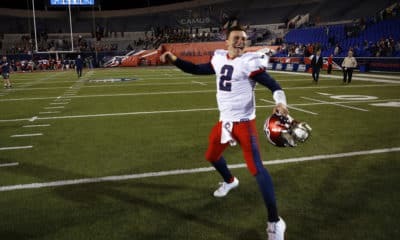 The Commanders also return home to perhaps the best fans and most toxic environment in the entire AAF. Defensive Coordinator Jim Grobe not only has the defense improving every week from a yards standpoint, they also have a keen eye for making turnovers. 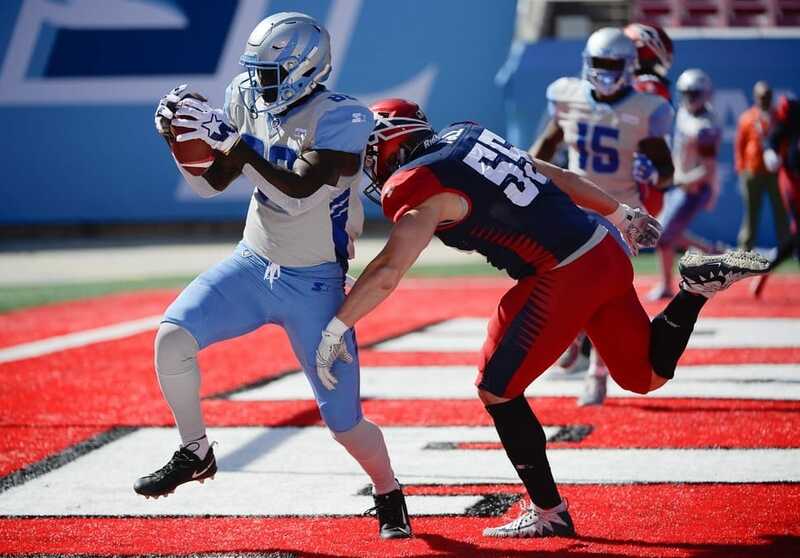 The Salt Lake City Stallions are coming off their second win of the season with a nice home win against the Memphis Express 22-9. The Stallions defense played a huge roll in last weeks win but now must hit the road to face a red hot Commanders offense. The Stallions are much better than their record if you ask me. If they can stop the Commanders offense and not turn the ball over on offense this team should have a chance to win the game outright. 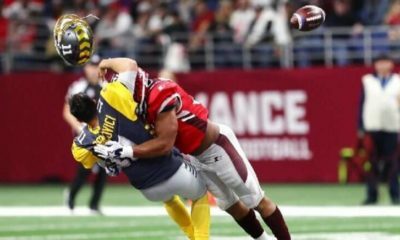 The San Diego Fleet are coming off a tough home loss to the Birmingham Iron. Despite winning the previous week, it appears the team is really suffering from the season-ending loss of starting QB Philip Nelson. Mike Martz and the Fleet might have lost a close one last week, but they should have won the game. The Fleet must limit the bonehead plays if they want any chance of beating the Hotshots in Arizona. 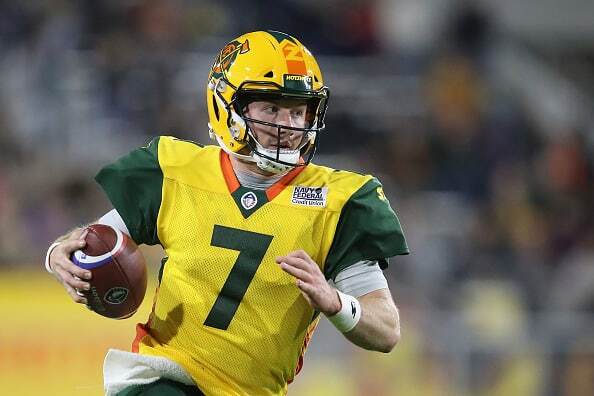 The Arizona Hotshots are probably the most inconsistent team in all the AAF. One week they look like the best team in the league and the next they look like they could be the worst. Most of that falls on the shoulders of QB John Wofford, who after getting knocked out of the Salt Lake City game, never regained early season form until last week. Wofford played perhaps his best game of the season in the upset at Orlando. 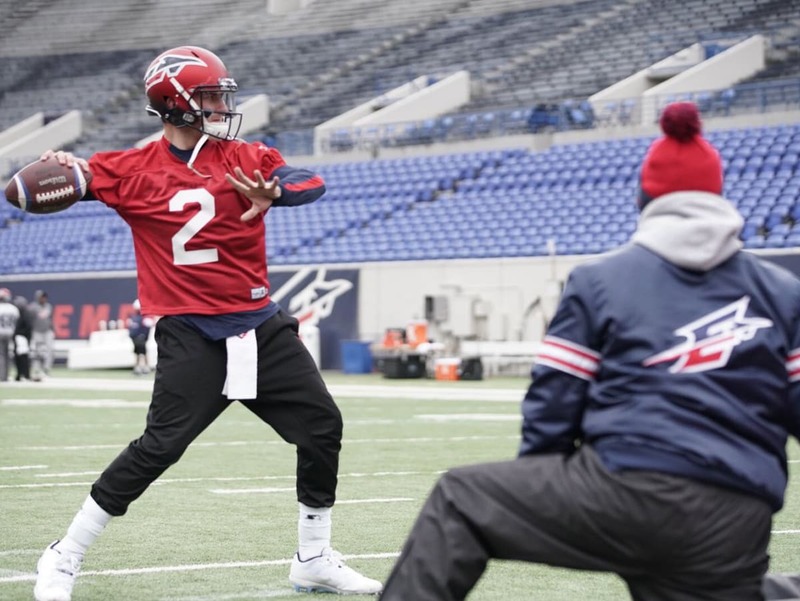 The Memphis Express just can’t find a quarterback to make this offense move. They started the season with Christian Hackenberg. That didn’t work, so they moved along to former Titans Zach Mettenberger, who was an improvement but not a big one. Mettenberger got injured last week at Salt Lake City and instead of bringing back Hackenberg, they decided to put in rookie Brandon Silvers from Troy. Silvers, like the rest of the Express QBs, struggled to move the ball and got blown out in Salt Lake City. Then came the signing of Johnny Manziel from the Canadian Football League and formerly of the Cleveland Browns. This is easily the most famous player in the entire AAF but I’m not sure he’ll be ready to play this Sunday. So that begs the question of how is the Express going to score points? The Birmingham Iron are coming off a nice road win against the San Diego Fleet where they went on a late-game drive to seal the win with a last second field goal by former Chargers kicker Nick Novak. The Iron started former Washington Husky Keith Price at QB after benching Luis Perez. Price was playing well but went down with an injury and in came former starter Perez who threw for 359 yards and 3 touchdowns.